Faced with increasing complications of scaling assembly line operations using paper-based work instructions, Swedish firm Stegia has introduced digital manufacturing instructions with the implementation of AssemblyX. 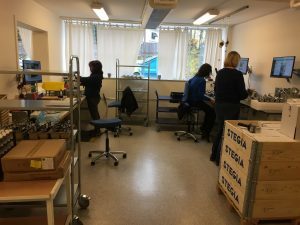 Manufacturing electromechanical motors used in a range of products from door locks to cash handling, Stegia has manufacturing facilities in Sweden and China. However, Stegia’s paper-based system for manufacturing its innovative technology products was causing complications. “We had a very manual process and version control was challenging,” explained Mats Sandvik, Lead Electronic Engineer. “The assembly instructions for each product would be printed out and we had to ensure it was stored in the correct place. Stegia’s smaller manufacturing lines are based in Västerås, Sweden, and higher-volume assembly is located in Shanghai, China. Stegia recognised that they required a system that would allow production to scale. “Our lines are flexible with employees working an occasional week, and some on a one day a month, or two days a week basis,” said Mats. AssemblyX was implemented in 2017 and is currently in use on two product lines, but Stegia intends to expand across its operations. Mathias explained: “The benefits of using the AssemblyX system for production has been clear. “It is much easier for the operators to follow each task. “AssemblyX enables us to be confident that we have the latest version of the work instructions on the shop floor. Version control processes are in place and any amendments can be pushed out quickly. “If we get questions from an employee, we can go back into the procedure and adjust it to clarify the steps, releasing a new version instantly. This allows us to manage risks and work more efficiently,” commented Mathias. AssemblyX has enabled customer audits to go more smoothly. “Many customers are impressed with the AssemblyX system. It makes us look much more professional than the previous binders full of paper,” commented Mats. “We look forward to additional functionality in AssemblyX, such as collecting data which will enable us to have insightful visibility of our operations,” added Mats. AssemblyX has enabled Stegia to benefit from improved document control and audit, electronic work instruction standardisation, and the ability to quickly adjust instruction versions, creating clear procedures whilst improving manager productivity. In addition, Stegia customers are impressed when they see AssemblyX on the production line. Manufacturing a multitude of custom configurations for its customer base, Chassis Plans follows extensive work procedures to ensure specific product versions are created exactly the same, time after time. Since installing the specialist digital manufacturing execution platform AssemblyX, Chassis Plans has revolutionised the production line, increasing productivity and providing robust, detailed assembly procedures to ensure version control. California-based Chassis Plans creates ruggedised computers and LCD displays for industrial, manufacturing and military customers, such as Lockheed Martin, Boeing, Raytheon, BAE Systems, and L3 Communications. Each customer has its own tailored designs with a vast array of custom configurations, which creates complex manufacturing operations. 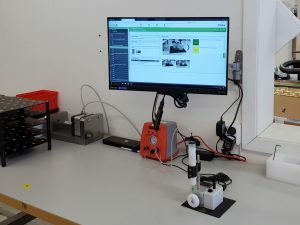 The company looked to AssemblyX, a solution that simplifies the process to author and control electronic work instructions, which can be delivered digitally to the shop floor. Streamlining operations for the execution and management of production, AssemblyX enhances quality, control and operational efficiency. For Chassis Plans, replacing the previous paper-based process was critical to help build efficiency and support quality control process. Steve explained: “Installing AssemblyX into our manufacturing has enabled us to have a robust set of procedures in place, so even if we build a product three years from now, we have the ability to build the exact same product. “AssemblyX gives us insurances and enables us to be more efficient and maximise productivity. For example, we used to have another person standing watching to ensure that all instructions were followed exactly and nothing was overlooked. AssemblyX has eliminated this need, allowing us to expand our output,” added Steve. The intuitive AssemblyX software was a hit for both Chassis Plans employees and customers, explained Steve: “Staff found the system very easy-to-use and quickly transferred to the new way of working. Authors are able to create and update documents in less than half the time compared to the previous system. “Shop floor users who were particularly resistant to change, proactively praised AssemblyX and have quickly adopted the new methods of working. In fact, they are helping us to capture tribal knowledge into very detailed and informative instructions. “AssemblyX has helped to reduce the learning curve for new recruits, meaning we can bring in temps when needed, so resource matches demand. We have also received great feedback from our customers, as many require us to fulfil audits in military markets,” added Steve. 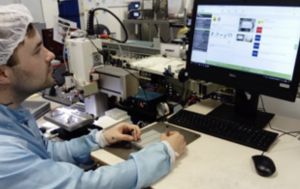 AssemblyX has enabled Chassis Plans to raise its credibility and reputation from ensuring better controls across the assembly process, reducing operational costs and increasing productivity. 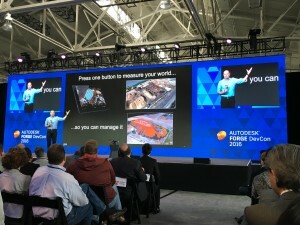 I have just returned from attending the Autodesk Forge conference in San Francisco and what a great event it was. Held at the historical Fort Mason by the bay, which served as the army barracks many years ago, the event was well organised and attended with over 1,100 developers, start-ups and business owners, looking to get under the hood of the Forge platform. Autodesk employees and attendees were a great bunch to hang out with, as there were lots of collaborations and discussions taking place over the 2 days. The noise levels were a testament to the amount of conversations that were taking place! 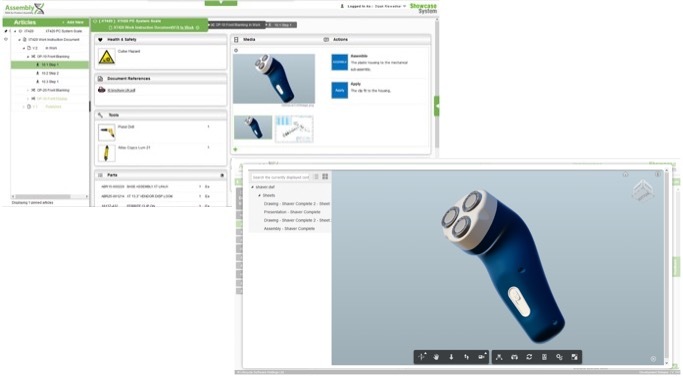 Engaged in the Design, Make and Use paradigm, Autodesk are building communities for developers and start-ups alike and making their core technology available through a set of rich API’s. Not your normal superficial API’s, but really opening up their software for partners like us to build the next generation of applications, that help people and organisations solve problems to Design, Make and Use the next generation of products and software. The sessions on the main stage were both interesting and thought provoking as technology and business leaders alike demonstrated and walked through the ways in which the Forge platform is supporting key transformational services and software, from drones using the Autodesk API’s from 3DR to Protolabs, who are providing the world’s fastest source for prototyping and low-volume production parts. Sorry I digress…getting back to Dotty, the application extends to call centre support, Oil & Gas and Mining, where complex equipment needs to be maintained and serviced and planning the job in the warmth of the office, reduces safety incidents and allows technicians to walk through the assembly / dis-assembly process before setting foot into a harsh and dangerous environment. Another to note were Jitterbit who are reducing the complexity of integration and providing a smarter approach to connect to key systems such as SAP, Oracle, Autodesk and Microsoft to name a few. The premise being that you will remove all the technical nightmares that traditionally come with integration, reduce cost of ownership and enable customers to become self-sufficient. I.e Not requiring expensive consultants every time you require a small change. There were detailed, I mean really detailed sessions on the forge API’s and code level examples of how to make a start. This was complemented with the Forge technical team, on hand to support deeper discussions on the Forge platform. Involved in a start-up myself the finances for using forge API’s also made a lot of sense, especially if your revenues are below $100K, you can use all the API’s for free. 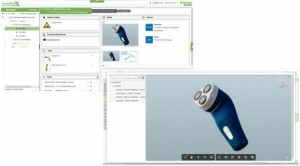 This a great way to support the start-up community and shows commitment from the Autodesk Forge Platform to get traction and buy-in from the communities in which the API’s could form part of the next generation of applications and solutions. Amar Hanspal and Carl Bass provided some excellent and at times brave executive insight into the thinking, but what really stood out was the commitment to make the Forge Platform and communities a success. 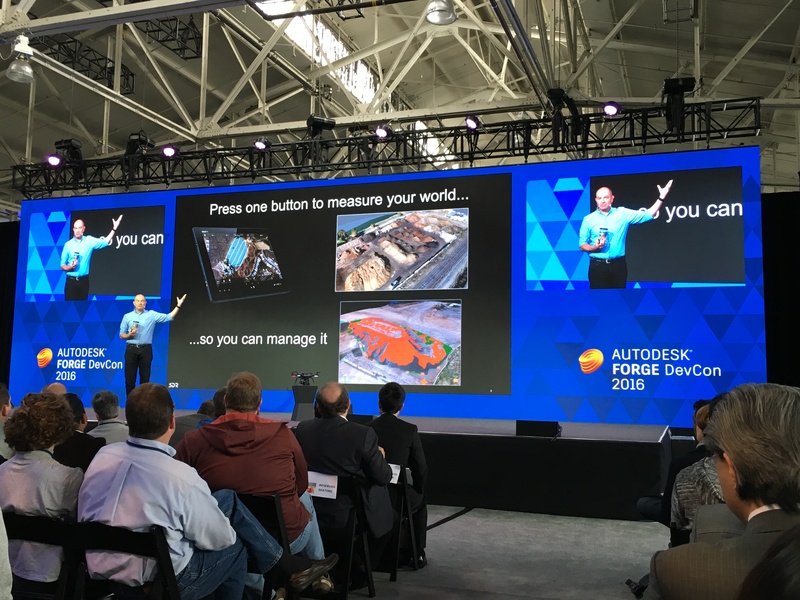 It was muted that the success of the Forge partners will ultimately drive the success and innovation at Autodesk, a giant leap of faith! 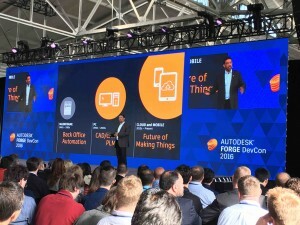 So the Forge Platform is open for business and the communities, developers, start-ups, entrepreneurs, established businesses involved in Design ,Make and Use should definitely take a closer look at how the next set of innovative applications that solve customer problems, can leverage years of great tech from Autodesk, with what feels like a Github like force, with little capital investment required, other than intellectual capital! 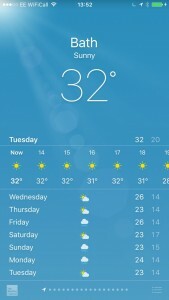 Final thoughts on the event for Autodesk to consider – Take the event to Europe, it might rain, but I guarantee there will be plenty of willing participants and opportunities for Autodesk to engage the next set of European Forge platform partners. 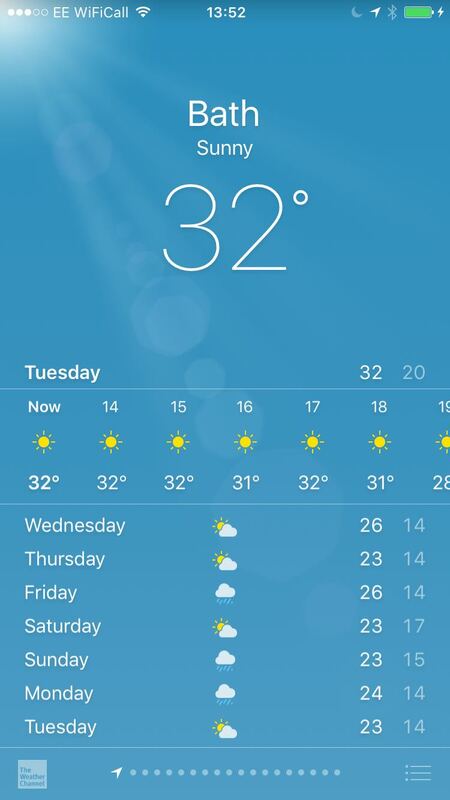 If today is anything to go by make it July! Look forward to the next Forge Platform event and showcasing our own progress with the forge API’s, in providing frictionless integration for production engineering and the factory, surfacing data in key factory processes that engage the shop floor, provided by AssemblyX and the Autodesk’s Forge API’s. Below is a sneak preview of where AssemblyX is using the Autodesk Forge Viewer API model viewer to connect documents from PLM and make them available in an electronic work instruction process for the shop floor. Look out for more exciting developments over the coming months where we will take a look at other API’s including PLM360. Using Autodesk Forge API’s to connect PLM360 content to the shop floor processes. Please feel free to contact us with any questions or comments on info@assemblyxsoftware.com or call us on +44 208 242 1619.